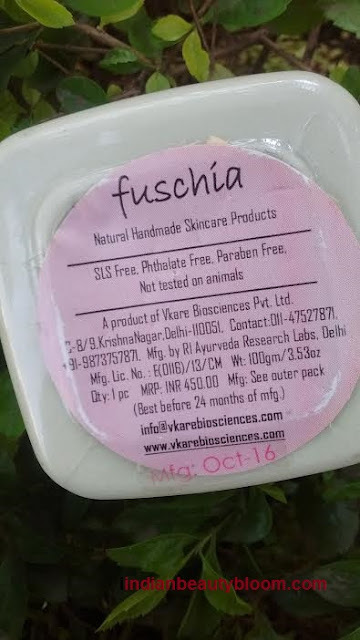 Today I am going to review one more product from brand Fushia Vkare . 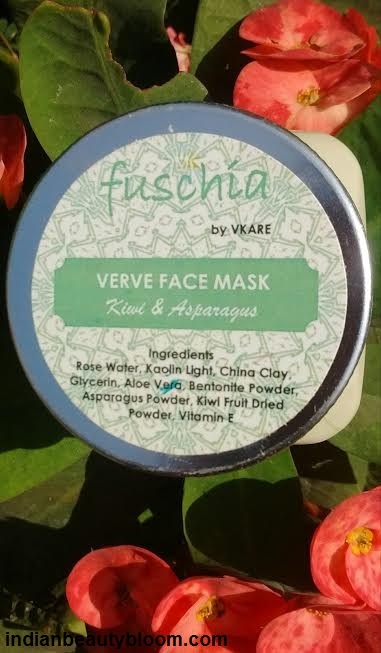 It’s Fushia Verve Face Mask With Kiwi & Asparagus . 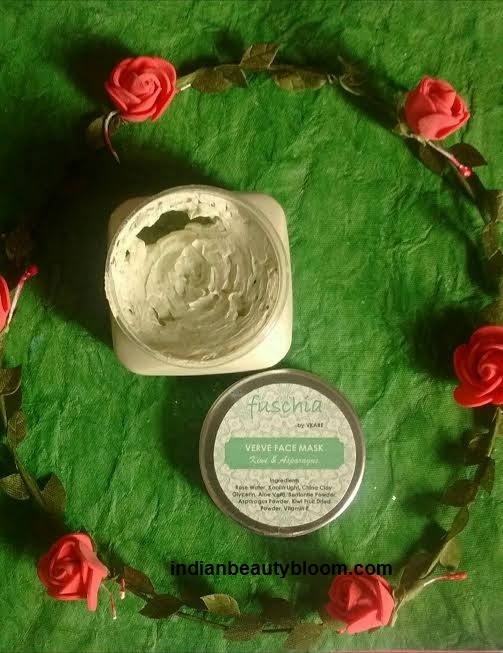 This Face mask is a blend of some great ingredients like China clay ,Glycerin ,Rose water , Asparagus powder etc and it helps in firming the skin and also has anti ageing properties . The product comes in a small Plastic jar . It’s a light green color thick face mask some thing similar to Fuller Earth face masks with a mild fragrance . one needs to wash their face and then apply this mask on face and neck and leave it for some 20-30 minutes till it dries completely and then wash it off with plenty of water . 2.Does not contain any harmful chemicals or preservatives . 6. Has a nice mild fragrance . 8. Product does what it claims , makes skin clean ,clear and softer . 9. Has anti-ageing properties . Since my skin type is oily I always look for product which can make my skin oil free and this face mask is an excellent product for oily skin . My skin felt clean , fresh and oil free after using this . I got this product in December My Envy Box .